Exquisite design with beautiful wood finish, the B-77 blends in perfectly in your home environment. 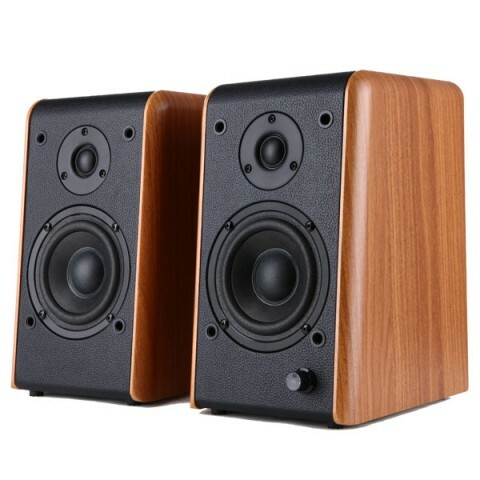 Stereo bookshelf speaker type, this system can be place in the living room, study, and even the kitchen. Designed with front master volume and bass/treble volumes at the rear, this system is a delight to use. Speaker to speaker connection using terminal connection for better sound transfer. RCA input connection for wide range of playback device support.